While this is one of the more expensive choices, it's one that works on a wider variety of vehicles including OBD1 and OBD2 cars. Furthermore, it's able to quickly locate problems and provide codes to you so that you can clear or fix whatever issues pop up. Overall, a device like this is a great way to save money when there's an issue. 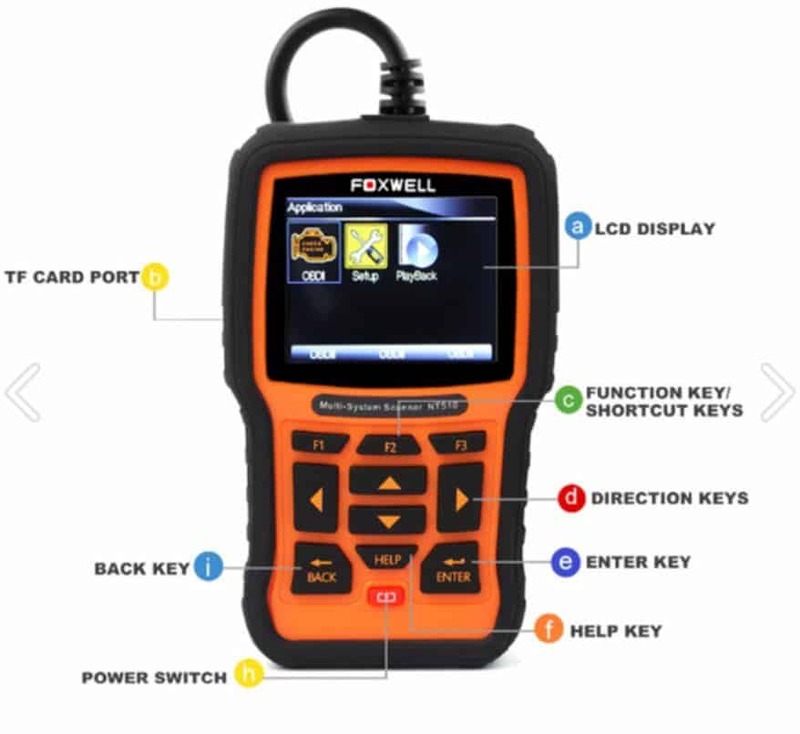 This Foxwell device looks as if it has been squashed down, but that only adds to the device. It may be shorter than others on the market, but the screen size is comparable. No space has been wasted with one half containing the screen and the other half containing the navigation buttons. You are able to hold the scanner in one hand and use the same hand to press the buttons. This device connects to your vehicle with a short cable. The cable also provides the unit with power. 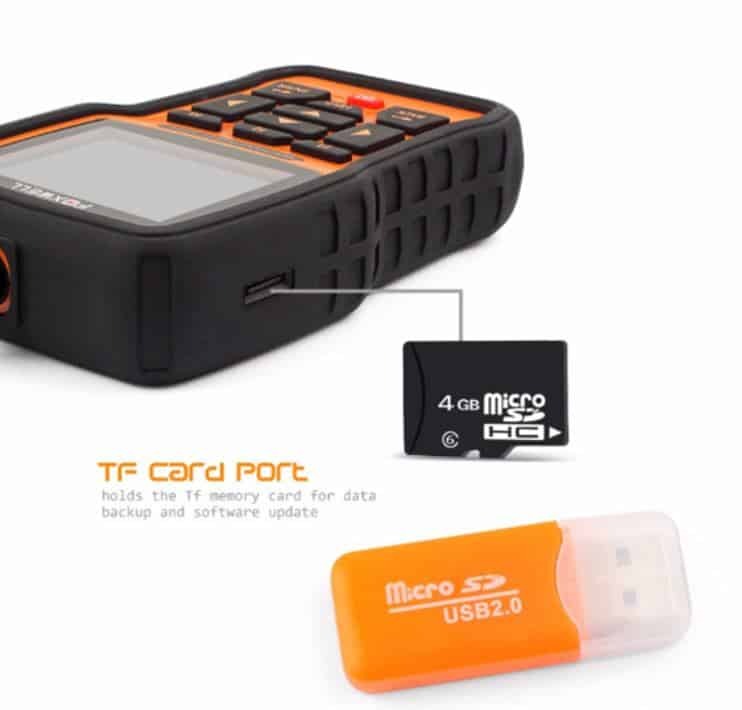 This scanner is compatible with both OBD1 and OBD2 vehicles. You are able to scan most vehicles in the world which were manufactured after 1996, with newer vehicles having advanced diagnostics available. 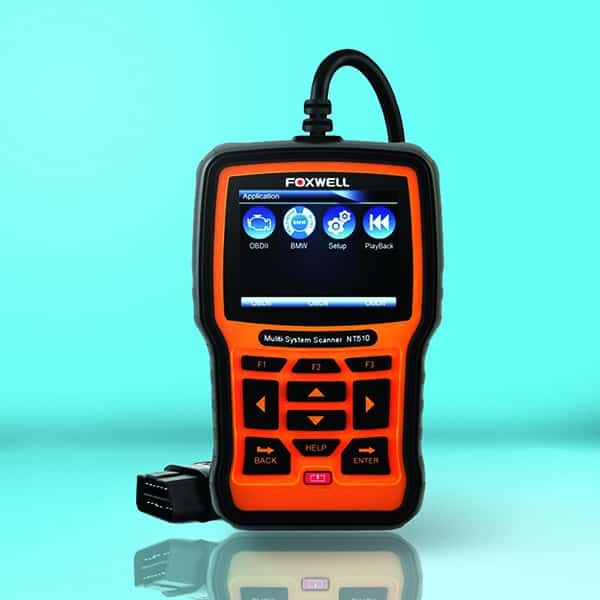 These powerful diagnostics are efficient and can help you to detect problems with speed and accuracy. You have all the functions available to you which you would expect to have with a quality scanner, along with live data and the ability to erase codes. Advanced functions include the ability to program features in your vehicle, actuation, and adapting the coding in your vehicle. You can run many system tests which other scanners are unable to do, and then run programming tasks on the control modules. This scanner was developed to be one of the most durable on the market. The high-quality rubber protects the internal device while also remaining attractive. There is extra padding on the corners and a screen protector to provide a barrier and protect against scratches and abrasions. By displaying data in table and graph form, you are better able to analyze the data which is presented to you. This helps you to diagnose your problems more efficiently and find the right fix. You are also able to access the table and graph data at the same time, allowing you to compare the data formats so that you do not miss anything. 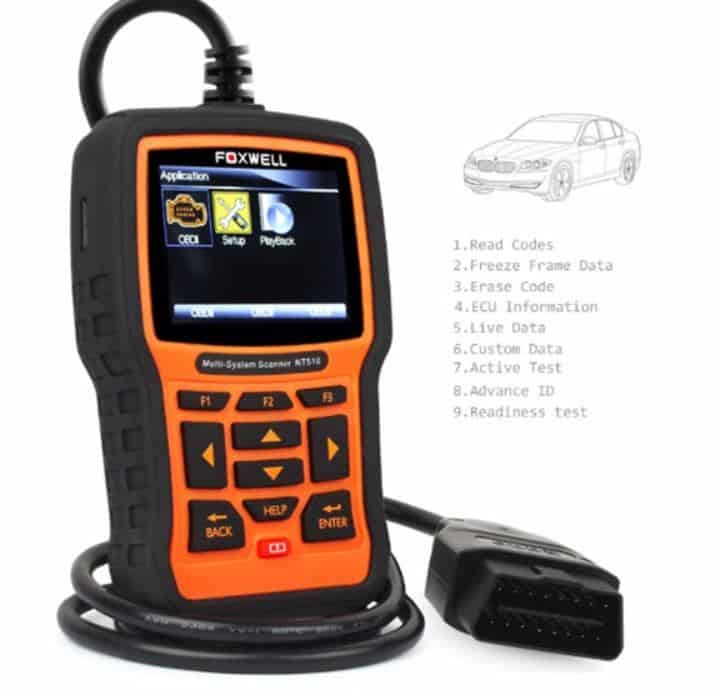 The ability to download tailored software depending on the model of vehicle you have, you can run diagnostic with more accuracy, find vehicle-specific problems, and find fixes which you would not be able to with other models of scanner. There are regular updates available for this device and each of the software modules which are downloaded, meaning that you will never be left behind when new codes and models of car are released. You will be covered against new parameters, bugs, fixes, and more. The updates are always completely free and will be available for the life of the device. The ability to run standard and advanced diagnostics make this a great tool for professionals and amateur car enthusiasts. For individuals, you will get enough data to be able to make the fixes which you are able to do yourself, and for professionals, you are going to get the rich data you need to solve complicated problems. While the scanner comes preloaded with software for five vehicles, you may have to purchase the software for your own car. This is easily done and uploaded to your device, but it is annoying to have to purchase additional software. The device can only hold up to 5 different models of vehicle at one time. This can be frustrating if you are diagnosing a variety of vehicles and it may even slow you down unless you have other devices to use. With newer models (those manufactured after 2015), the special and advanced diagnostics are run automatically. This may be too much for those who are wanting to diagnose standard problems and are not able to diagnose and fix more complicated problems. This is definitely a scanner which is geared towards professionals, and the ability to download vehicle-specific software (even at a small cost) makes diagnosing problems more accurate and advanced. With this device, you are able to accurately locate common and more complicated problems and have a reasonable idea of what is causing the problem and how to fix it. This is a user-friendly device, which gives you the information you need with a fast response time. The only downside is that the specific software is listed to five vehicles at one time.